There are people out there who view Detroit as a rundown, dangerous city. We have old factories here in the city, many of which have been abandoned and torn down. One of the most famous buildings is the old Packard Motor Car Company Plant. That, unfortunately is very rundown and falling apart. There is some good news though. 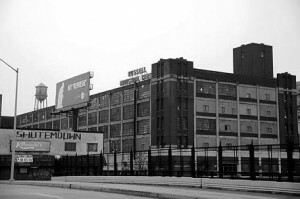 The Russell Industrial Center (RIC) is one of those manufacturing buildings that have been saved.